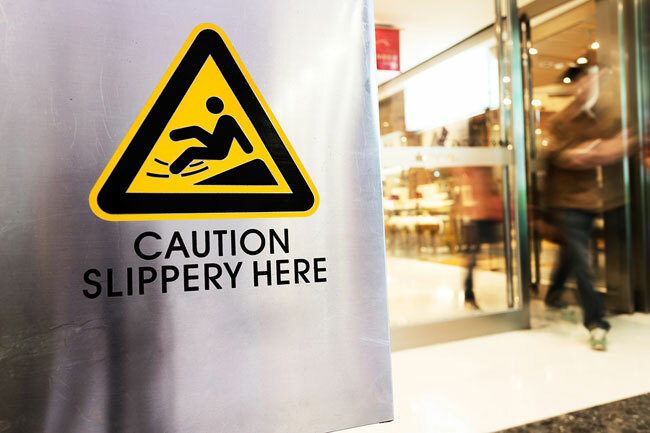 Slip & Fall Lawyer Spartanburg, SC: It can happen to any of us in malls, grocery stores, gas stations, restaurants, big box stores, parking lots or anywhere else we might happen to be. You catch your foot on an obstacle, slip on a spilled liquid, or trip over a broken step. One second you’re on your feet, and the next second you’re on your back. Although you have a responsibility to look where you are going avoid potential obstacles, those who own or maintain commercial property may be liable for your injury where they knew or had reason to know about a dangerous condition. 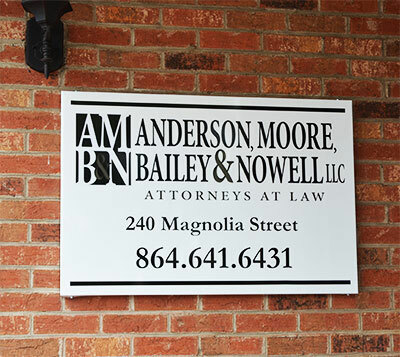 When you’ve been injured in a slip and fall accident or by a dangerous condition on the property of another, the attorneys at Anderson, Moore, Bailey & Nowell, LLC are here for you. Our attorneys will determine whether they think you have a valid claim. We’ll then try to negotiate with the at-fault party’s insurance company and their attorney to attempt to reach a fair settlement and obtain just compensation. We are also ready and willing to take your case to trial and try to establish the other party’s liability and your damages in front of a judge and jury. South Carolina has laws that limit the amount of time you can bring a lawsuit following an accident. Call us today at 1-888-234-2483 or (864) 641-6431 for a free consultation. 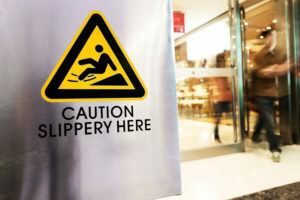 A slip & fall injury can occur either in a residential or in a commercial setting. In either event, if your injury was caused due to the negligence of a third party, we can help you get the compensation you deserve.